I’m actually not certain that she won’t get repainted a cream color. 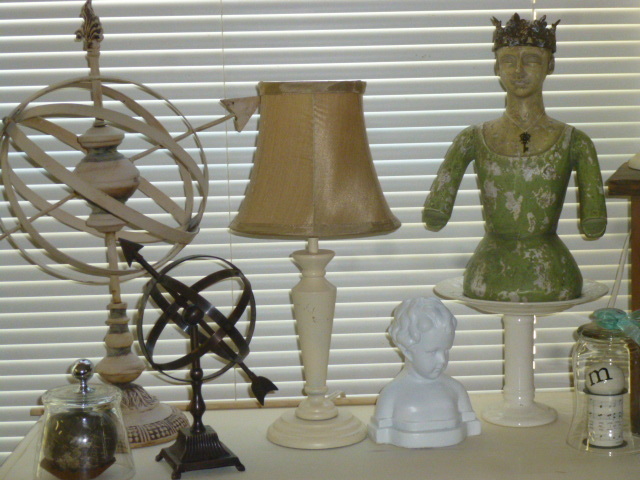 I really don’t have much bright white in my living room. 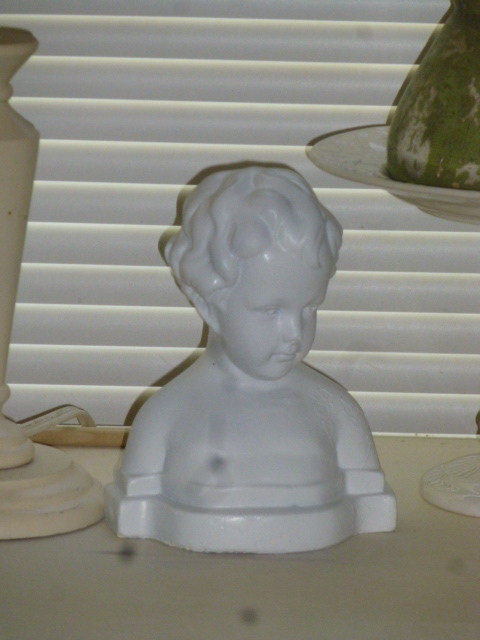 So, for now, I’ve got her sitting on this chest in my living room; amongst my angel and Santos collection. I’d really like to find (or MAKE!) some kind of pedestal to set her on. Until then . 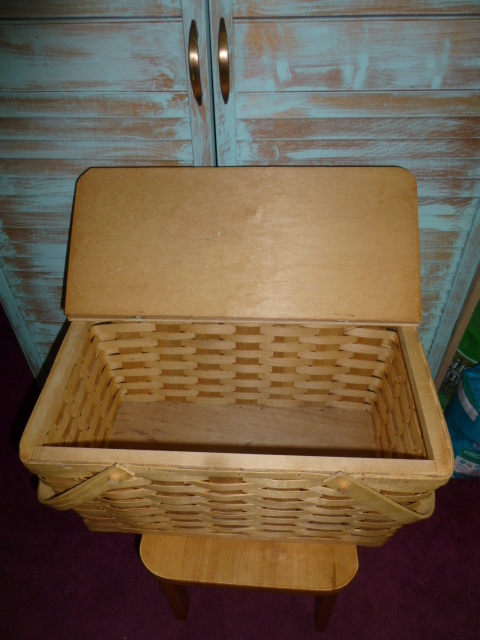 . . this is where she shall reside. Nice and clean ‘innards’! Clean innards is really MORE important than the outside. The outside can easily be painted. 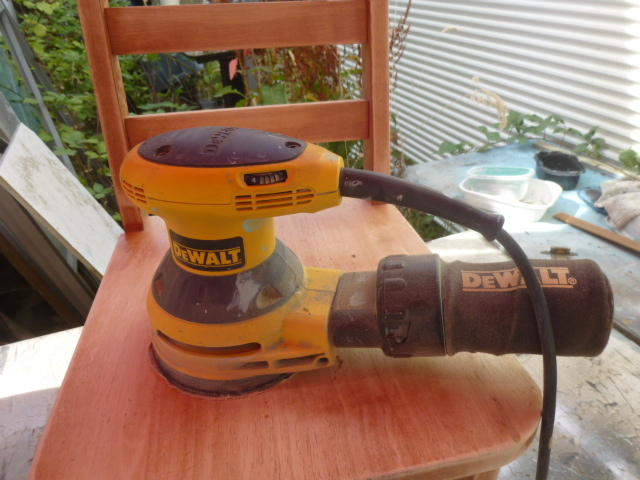 Innards are harder to clean and/or paint. 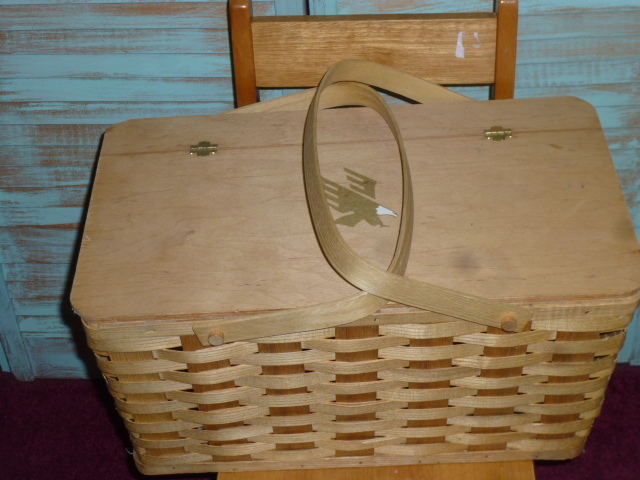 The only think I didn’t like about this basket is the eagle painted on the lid. But that’s easy enough to remedy! 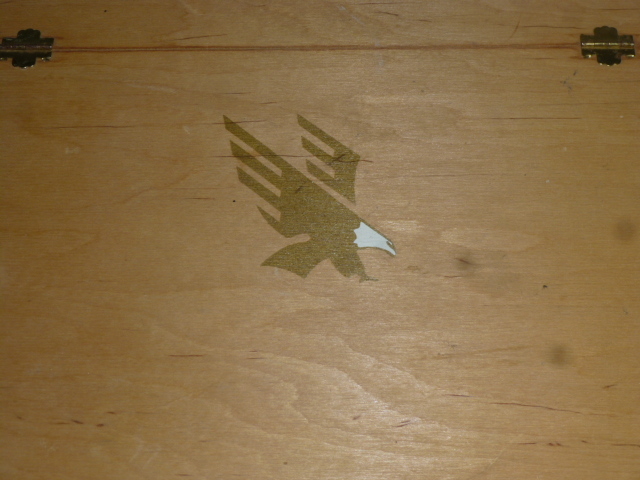 A couple of minutes of sanding with an orbital sander removed enough of the eagle so that I could paint the lid. 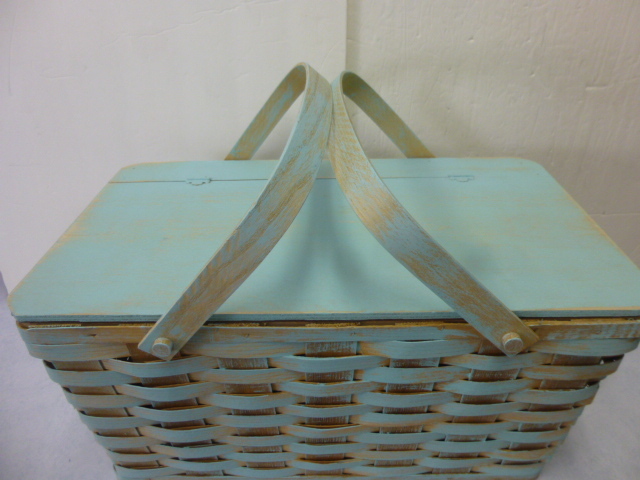 I dry brush painted the body of the basket. Then completely painted the lid. After the paint dried (about five minutes in this heat!) 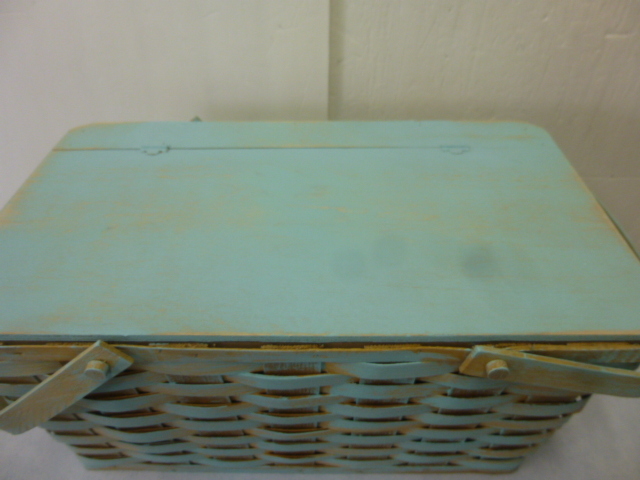 I sanded the lid to make it look weathered and faded. 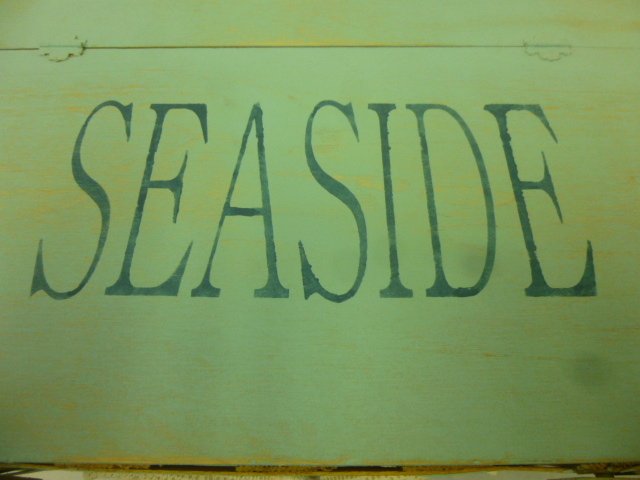 I stenciled the word ‘SEASIDE’ on the lid. 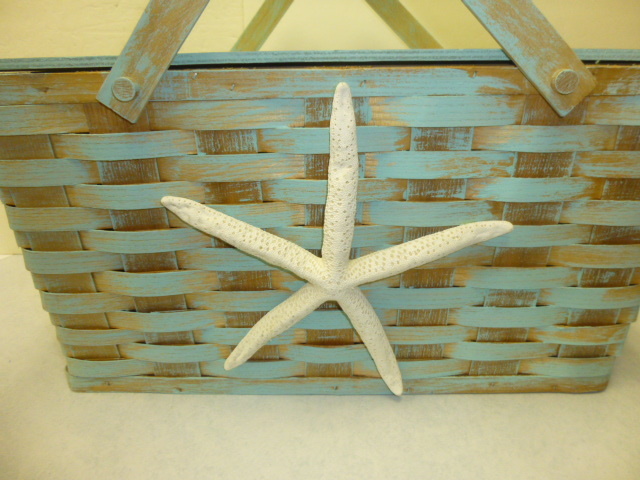 And glued a big white fingerling starfish (using e6000) to the front of the basket. And there it is! 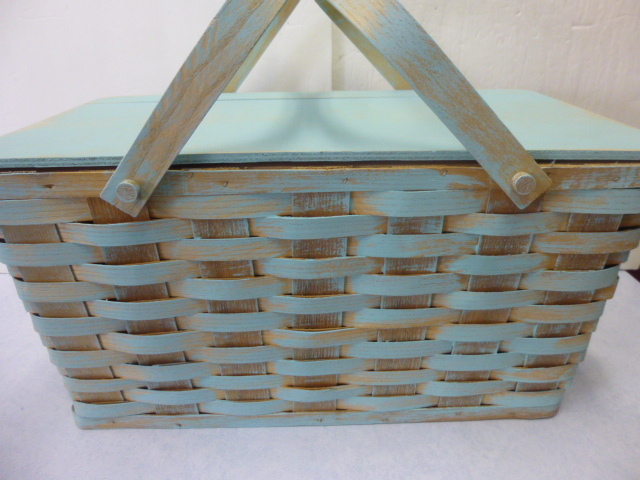 All set to be filled with goodies for a trip to the beach! 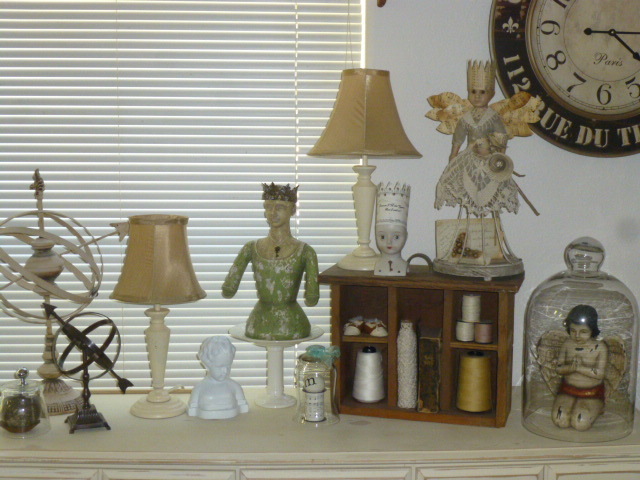 It is available to purchase in my booth at Stars Antique Mall in Portland; $29.00. 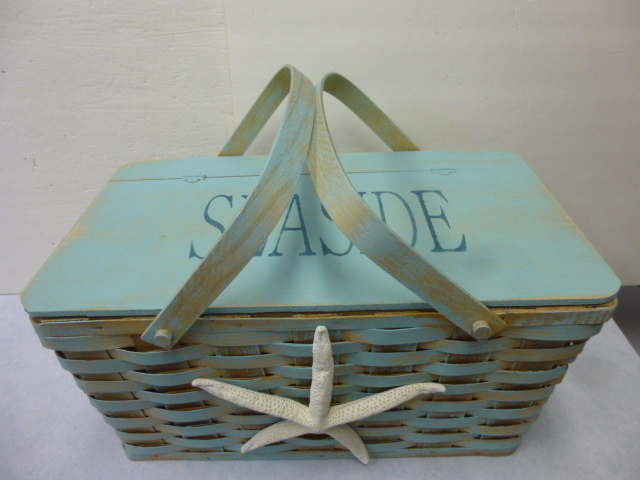 Love the seaside basket with the starfish accent. 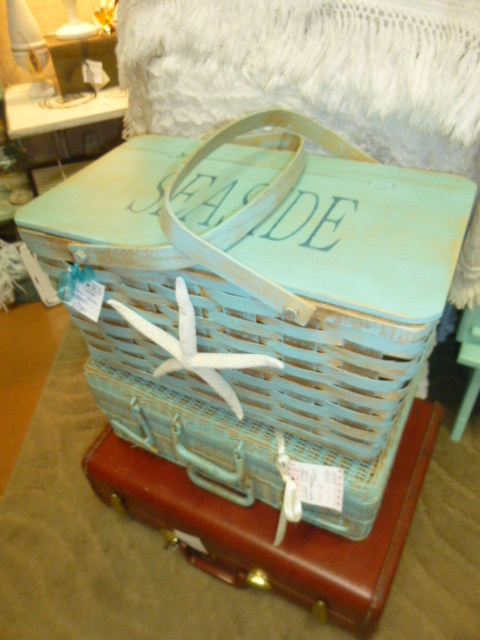 Makes me miss the beach!..Thankyou for all your original designs they are so inspiring. 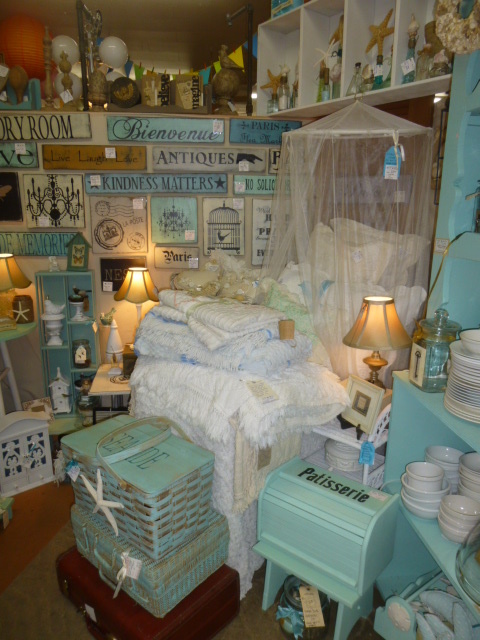 I am redecorating my bedroom and I’m sure I can use some of your awesome ideas in there!